Mojo Asks Students: What Do You Think of Rendezvous’ New Horchata Boba Drink? The classic boba options at Rendezvous – milk tea and Thai tea – have some new competition. UCLA Dining Services branched out regarding boba drinks, introducing residents to green milk tea, Vietnamese coffee, and this winter quarter, horchata. The horchata drink has been the real talk of the town. Horchata is a traditional dessert drink commonly enjoyed in Spain and Latin America and is made with almond, barley, milk and cinnamon as some of its primary ingredients. 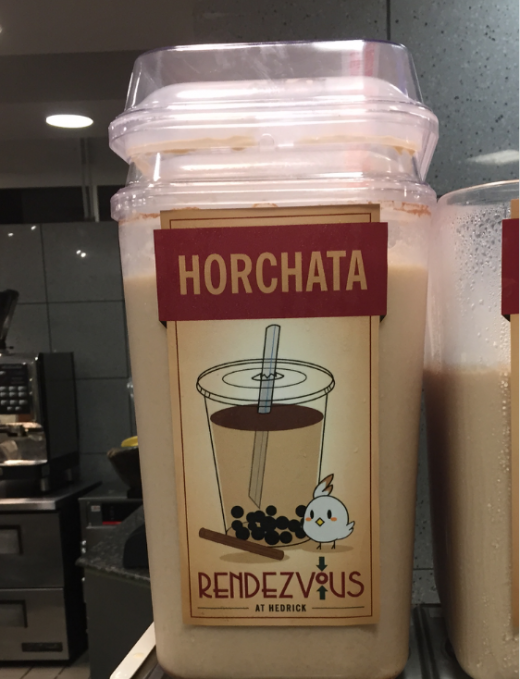 This drink can be mixed with fruit or seeds, but at UCLA, students can get horchata with boba. To investigate the craze, Mojo went to Rendezvous and asked students what they really thought. – Janine Adviento, fourth-year psychology student. – Alex Arenas, second-year psychobiology student. – Luis Melchor, third-year political science student. – Eduardo Lopez, third-year spanish and linguistics student. – Darien Lee, first-year business economics student. – Savannah Krause, first-year communication studies student. – Devanshi Mehta, first-year business economics student. – Grace Reego, first-year psychobiology student. Have you tried Rendezvous’ horchata or any other new drinks? Comment below or tweet us at @dbmojo.